When artists first started to engage with the volatile and ephemeral forces of video technology, they were grappling with phenomena that seemed to undermine human concepts of control, design, and memory—a technical corollary to avant-garde ideas of undoing authorial mastery and entering new media reality. In this innovative text, Ina Blom traces the autobiography of video as enacted in the field of early analog video art. She documents, among other things, the becoming of video through the framework of painting, its identification with biological life, its exploration of the outer limits of technical and mental time control, and its construction of new realms of labor and collaboration. 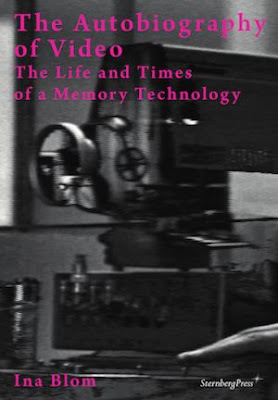 This is a book about technology and social memory in the field of twentieth-century art. This is a phosphorescently brilliant exploration of the birth and life of video. In the times when electronic media meant the flow of televisual signals, video became a uniquely glimmering force of idiosyncratic memory and the ordination of time. Blom’s focused beam of histories and ideas superlatively traces the crackling and flickering scanlines of this new reality as it came into being in art. With this extraordinary study, early video has finally found its chronicler. Invaluable not only for its perspicacious genealogy of media-art practice, but for its inspired historiographic gambit, wherein both art and history are reimagined in light of contemporary media archaeology.